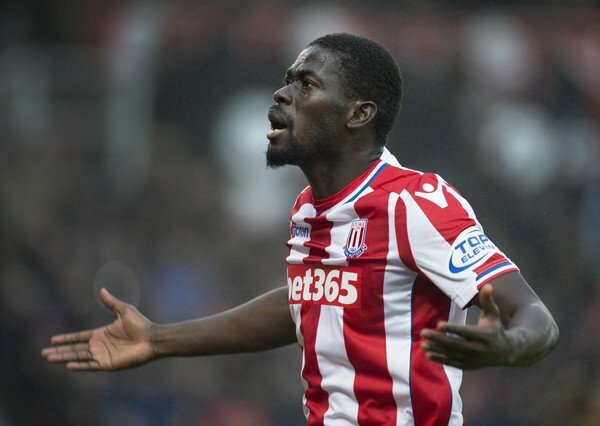 Premier League side Stoke City are seeking to reinforce their squad with Galatasaray star Badoy Ndiaye, as per reports. The Senegalese midfielder has caught the eyes of Stoke City and other Premier League sides. The Turkish Super Lig side have confirmed that they dropped the player after receiving formal interests from Stoke. Newcastle United, Watford, and Crystal Palace are believed to be also interested in the player. However, Stoke have offered around €16 million for the player. There are reports in Turkey that the player told the management that he wants to join Stoke City, hoping to move up a gear by playing in the Premier League. The Potters have been following him for a while now. They wanted to seal the deal for a player that has been compared to Chelsea’s N’Golo Kante. The Turkish club spent only €7.5 million last summer to get the player and could make over a double of that if they sell the player. However the final decision rests with new coach Fatih Terim. Terim has targets for the season and selling a player as such can rock the boat this late in the season. There are little prospects of getting a good replacement before the transfer window closes so Terim is threading carefully. Ndiaye has spent four years playing in Norway before the move to Turkey. He is loved for his work rate, his team spirit and aggression in the midfield. He helped his national side qualify for the World Cup but he has played less than 60 percent of their games in the last two years – a requirement to get a work permit to play in the Premier League. His case would have to go to appeal. Hopefully, Stoke can convince Galatasaray and get the work permit appeal issues sorted out, all in time.